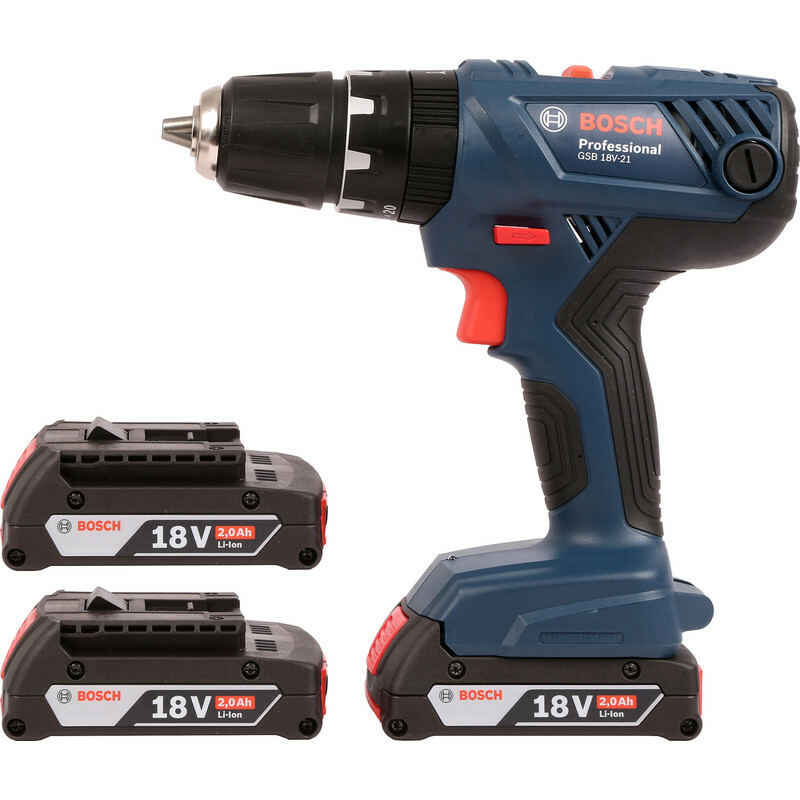 The Bosch GSB 18V-21 Professional 18v Combi Drill is Bosch's most reliable and powerful entry-level model in the professional range, providing sufficient performance and running time for important applications due to 55Nm of hard torque. The power tool will switch off if suddenly rotating around the drilling axes. There is a mountable bit holder for easy transport and storage of bits on the tool, and a practical belt clip for conveniently hanging the tool on a belt or ladder. It also features an integrated LED light with afterglow function for illuminating the work area, even in dark places. The Bosch GSB 18V-21 has been designed for professional applications by providing what you'd expect in a professional tool at an entry-level price.